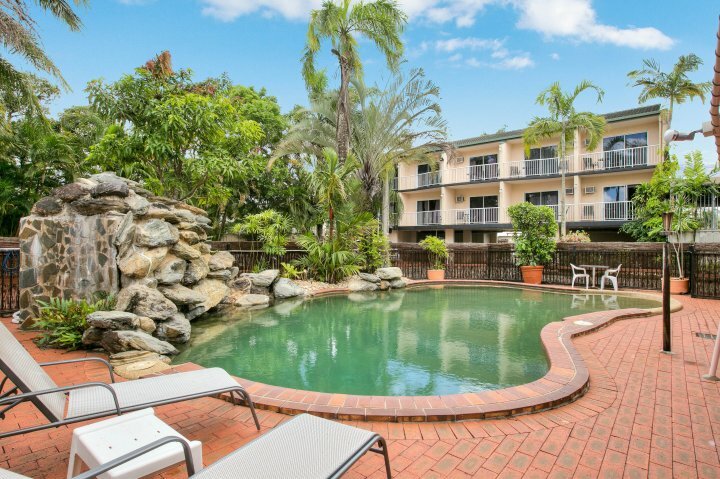 Cairns City Sheridan is located close to the city centre of Cairns, regarded one of the most popular hotels in a region that is viewed to be a must visit destination in the world. 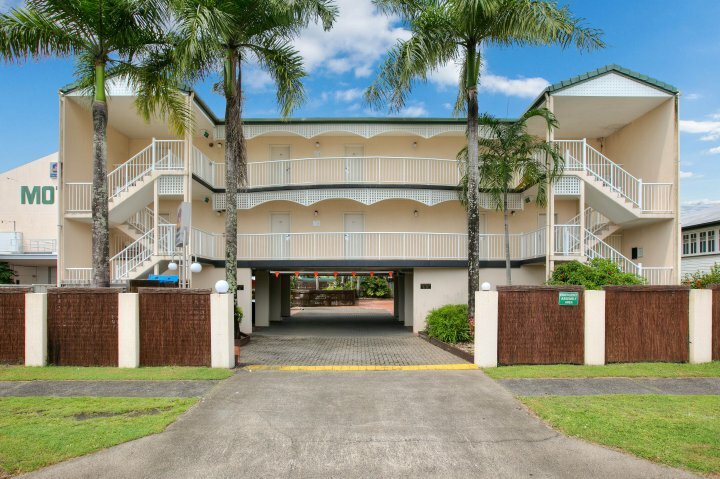 Cairns is surrounded by lush rainforest, beautiful tropical waters and scenery that has to be seen to believe. 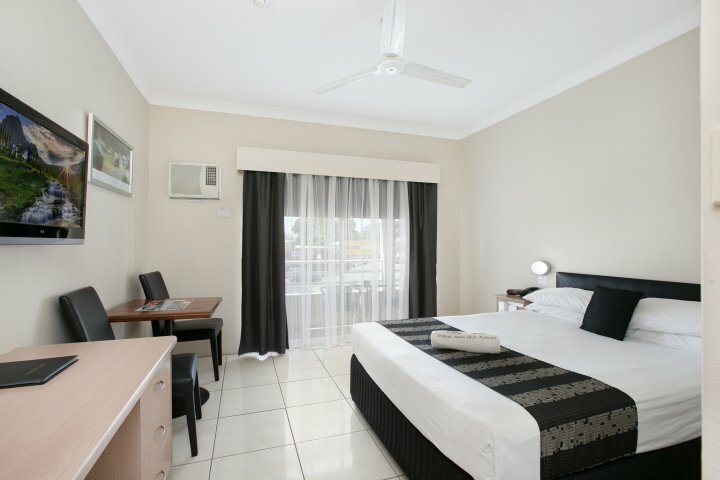 Staying with us at the City Sheridan you will be located within a 10 minute walk to Cairns best city attractions including Cairns central shopping centre, large number of world renowned restaurants catering for all cuisines, plenty of lively bars and clubs, Cairns Civic Theatre, Cairns Convention Centre, Cruise Ship Terminal, Bus Terminal, Museum, Arts Gallery, Train Station, Reef Fleet Terminal and the Reef Casino. City Sheridan is also only a 5 minute drive from the airport. 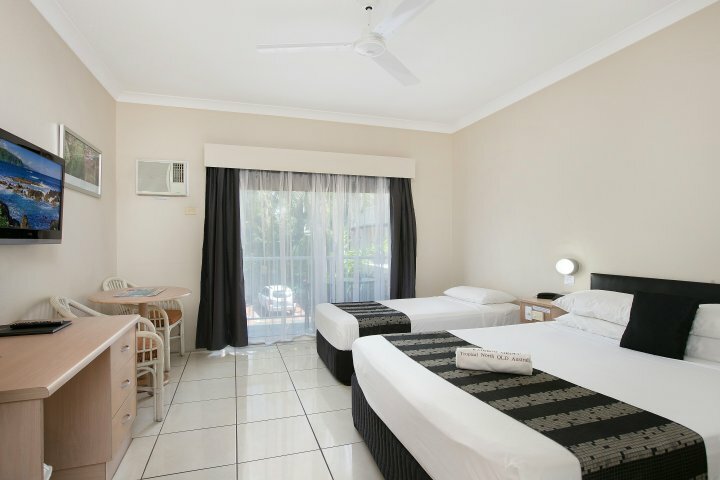 Our rooms are large in size and cleaned daily. We offer free wireless internet throughout the hotel. 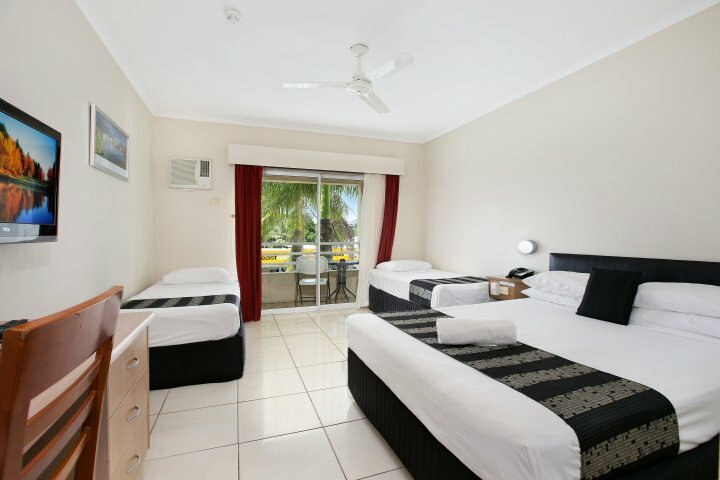 All rooms have their own private bathroom and balcony that opens the rooms to the wide open tropical weather and scenery. 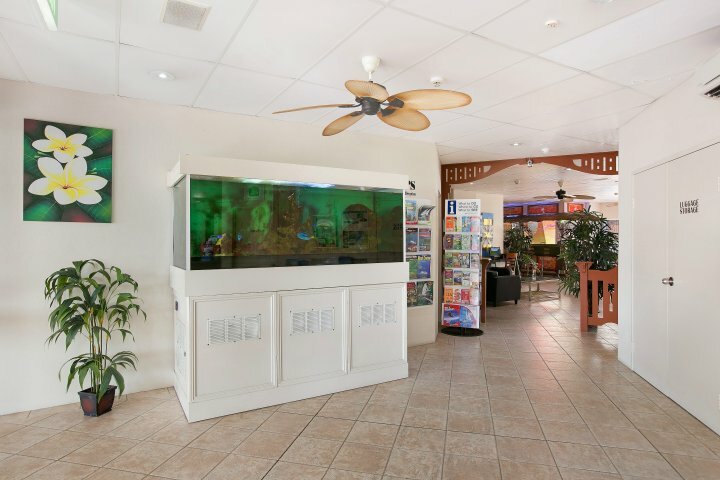 For in room entertainment your room has a 32-inch TV with free in house movies. 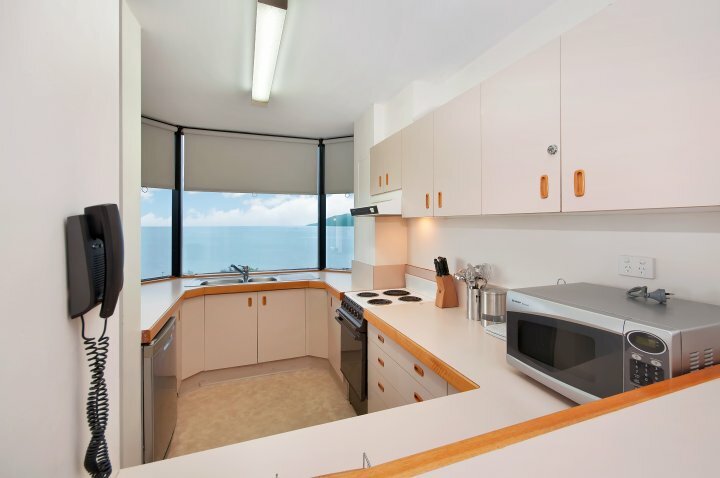 Other inclusions is a microwave, fridge with mini-bar, iron and ironing board, hairdryer, safe, tea and coffee making facilities, and a desk with chairs. Your balcony is furnished with a table and 2 chairs. 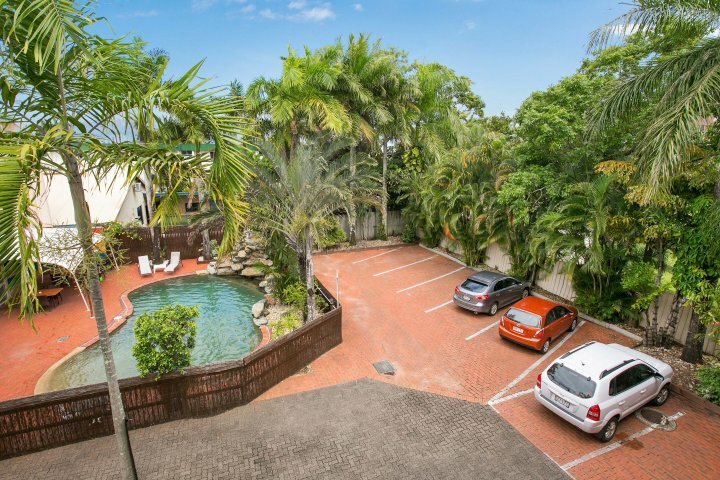 City Sheridan facilities include a tropical outdoor swimming pool with cascading waterfall, tour booking desk, guest laundry, and onsite car parking. 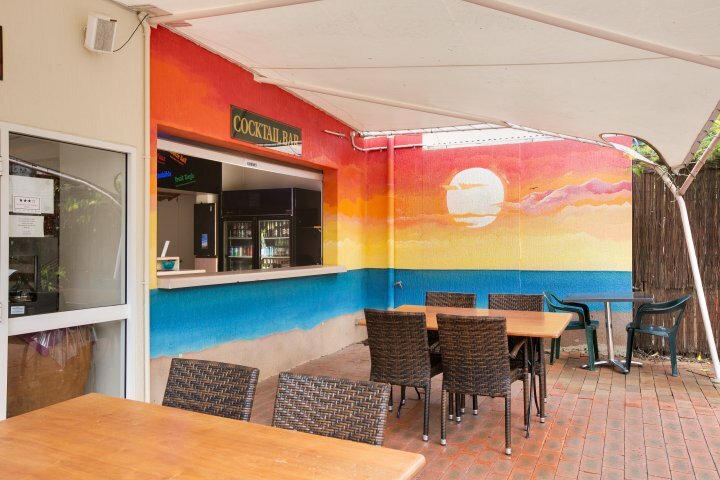 City Sheridan also has the Sheridan Lounge Bar, a great place you can meet other travellers and share your stories while enjoying a beverage. The Sheridan Lounge Bar also has a computer terminal with free printing facilities. Sheridan Restaurant serves continental breakfast buffet daily from 700 am through to 1000 am. Enjoy your morning breakfast poolside in the company of tropical palm trees and a cascading waterfall. 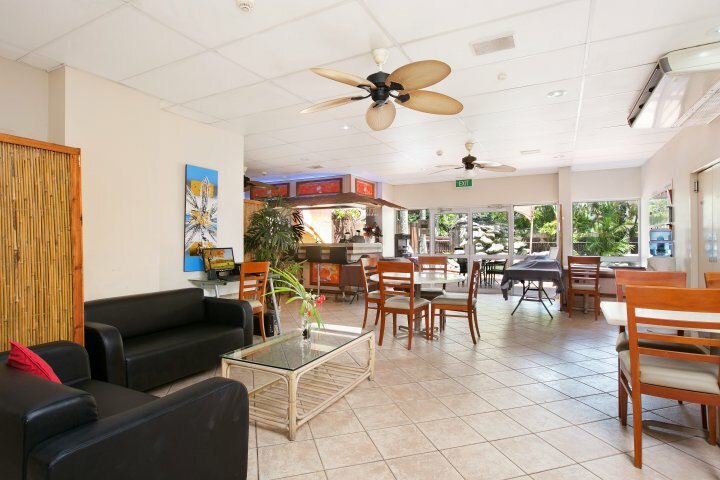 After a day out enjoying all the fantastic adventures that the Tropical North Queensland has to offer, relax pool side with a drink chosen from our large selection of beers, wines and spirits. 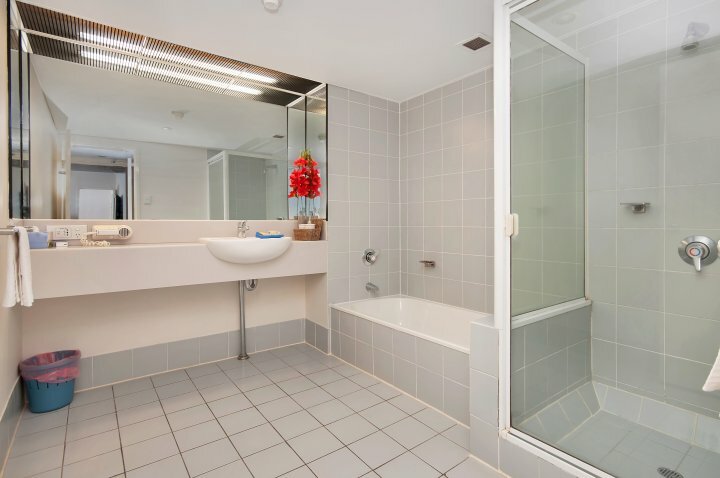 This air-conditioned tiled throughout guest room features a queen size bed with private bathroom and balcony. 32-inch flat-screen TV, free wireless internet, microwave, fridge, mini-bar, iron, hairdryer, safe, tea/coffee, and a desk with chairs. 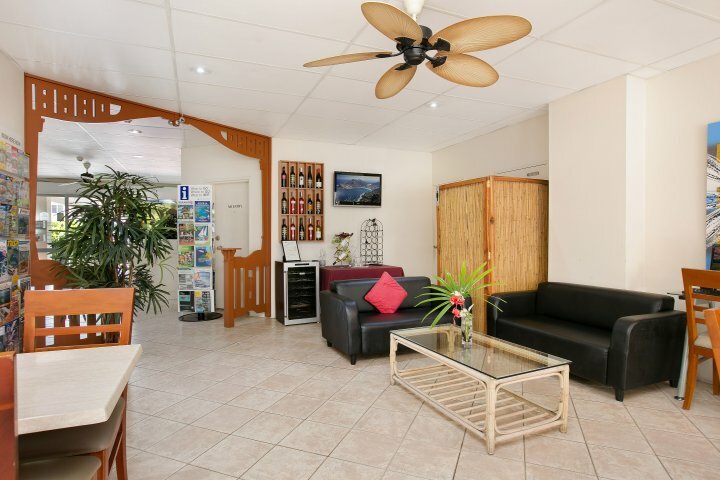 This air-conditioned room features a queen bed and 2 singles with a private bathroom and balcony, a 32-inch flat-screen TV, free wireless internet, microwave, fridge, mini-bar, iron, hairdryer, safe, tea/coffee and desk with chairs. 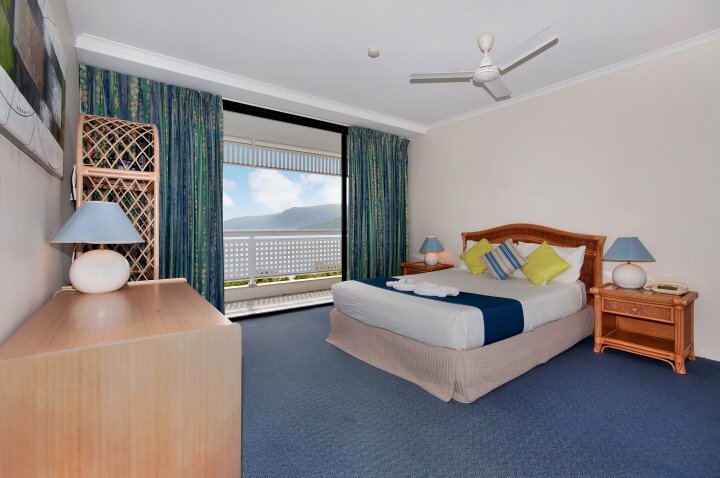 This air-conditioned tiled throughout guest room features a queen size bed and single with private bathroom and balcony. 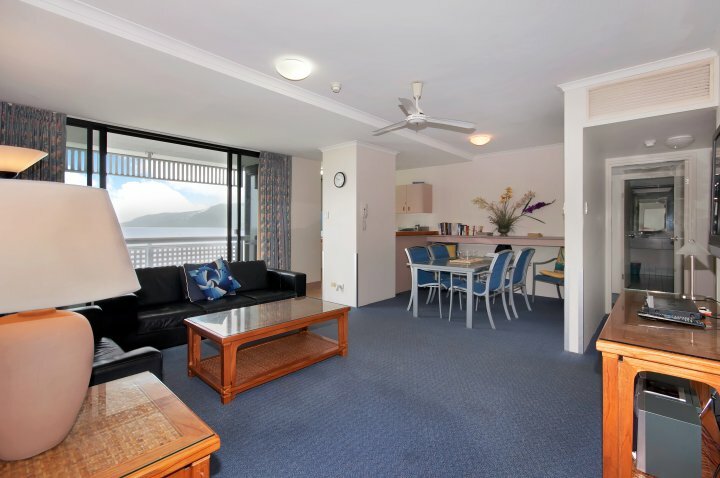 32-inch flat-screen TV, free wireless internet, microwave, fridge, mini-bar, iron, hairdryer, safe, tea/coffee, desk with chairs. 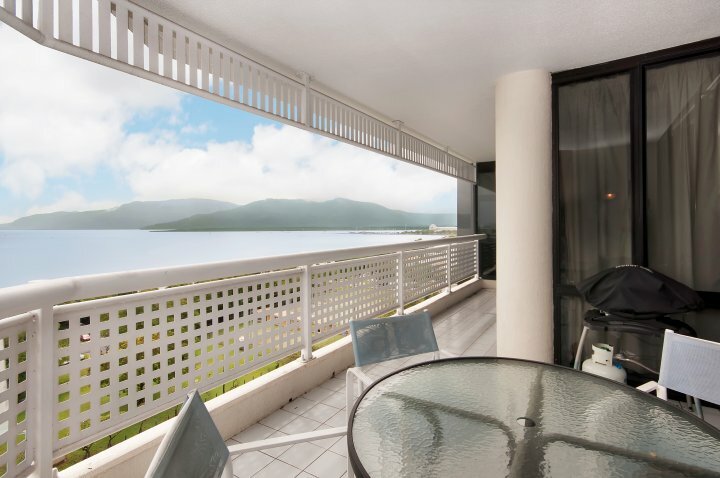 This 11th floor spacious two bedroom apartment features a large balcony with views out to the Great Barrier Reef. 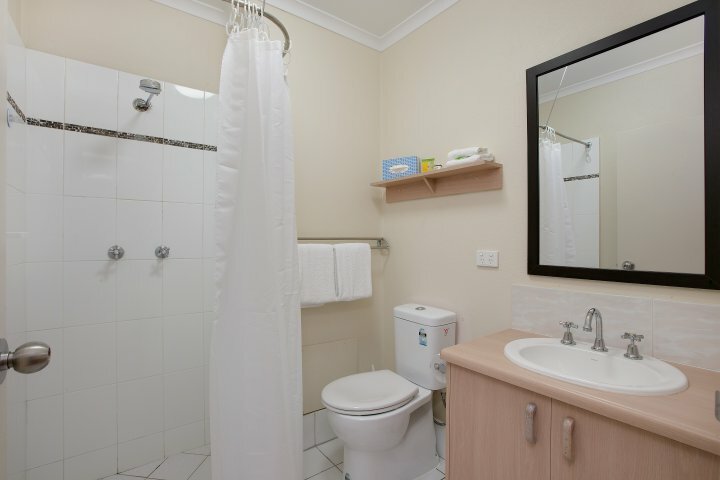 Fully equipped kitchen, lounge, dining room, 2 bathrooms, laundry, 42-inch TV, free wireless internet. Located at Rydges Esplanade. 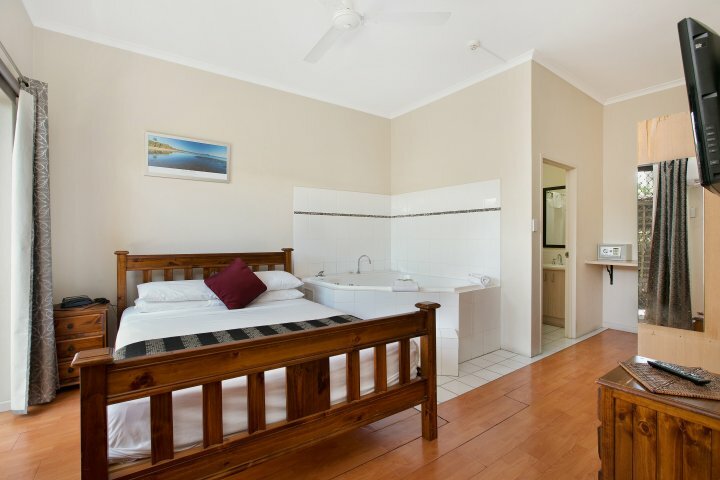 This air-conditioned suite features a queen bed with private bathroom and a large spa bath located in the main room, a 42-inch and 32-inch flat-screen TV, lounge area, free wireless internet, microwave, fridge, mini-bar, iron, hairdryer, tea/coffee. Free wireless internet, faxing, photocopying, and a computer terminal with printing facilities are available. City Sheridan also has conference facilities. Reception is open from 700 am to 900 pm daily. If you are arriving after 900 pm, the phone that is located on the front reception doors will direct call an after-hours service. If you are arriving after 900 pm, please let us know. Children 3 years of age and under stay for free, children from the ages of 4 to 12 are charged at $10 per night, extra adults are charged at $20 per night, these extra charges are using existing bedding. Cots are available for $5 per night, and fold out beds are available for $10 per night. Parking is available on site, as well as plenty of off street parking. We can accommodate large cars, vans, buses and trucks. 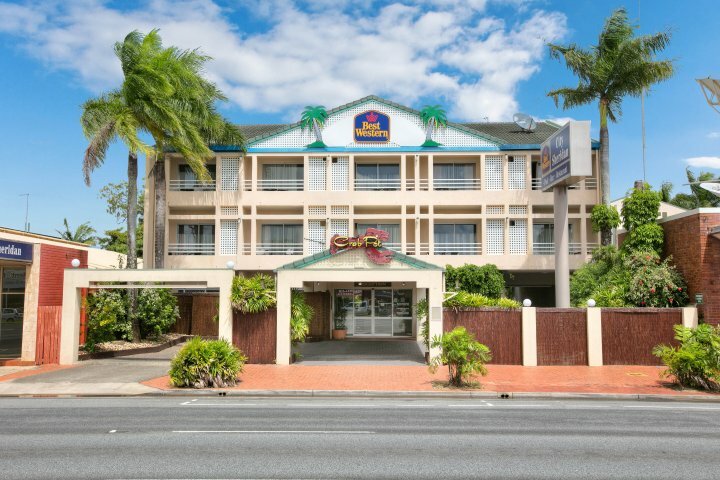 Heading up to Cairns from the south Follow Mulgrave road that takes your into Cairns city, turn left onto Sheridan street, head north along Sheridan street for 1km, on your left you will see the City Sheridan sign, we are located at 157 Sheridan Street. Heading down to Cairns from the north Follow Captain cook highway which turns into the name of Sheridan street, when you see an airport turnoff sign continue along Sheridan street for a further 5km, we are located on the opposite side of the road, you will need to do a turn at Gatton street, or a U-Turn on Upward street. From Cairns Airport - Follow airport drive until you get to a T intersection at a set of lights. Turn Left onto Sheridan street. 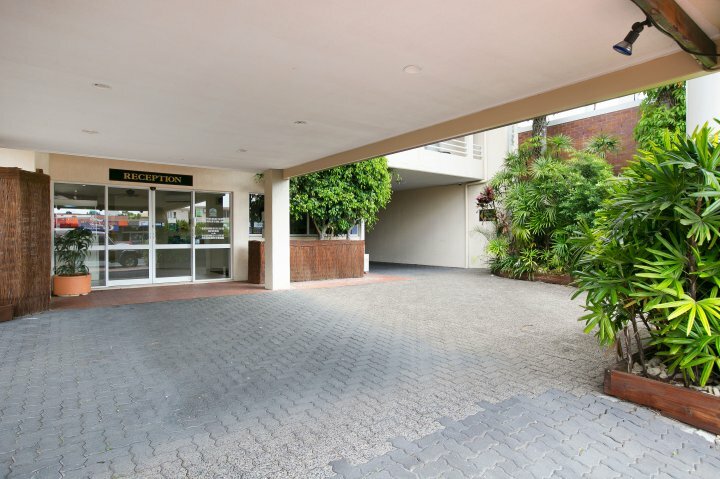 Follow Sheridan street for 5 km, we are located on the opposite side of the road, you will need to do a turn at Gatton street, or a U-Turn on Upward street. Cairns City Sheridan tour booking agents are always available to help you through the large variety of adventure options. Great Barrier Reef, Cape Tribulation, and the Daintree are just a couple of the more popular attractions, and for the thrill seekers skydiving, bungee jumping, hot air-ballooning, or white water rafting might be more your style, with over 200 adventures on offer, there is definitely something for everyone.